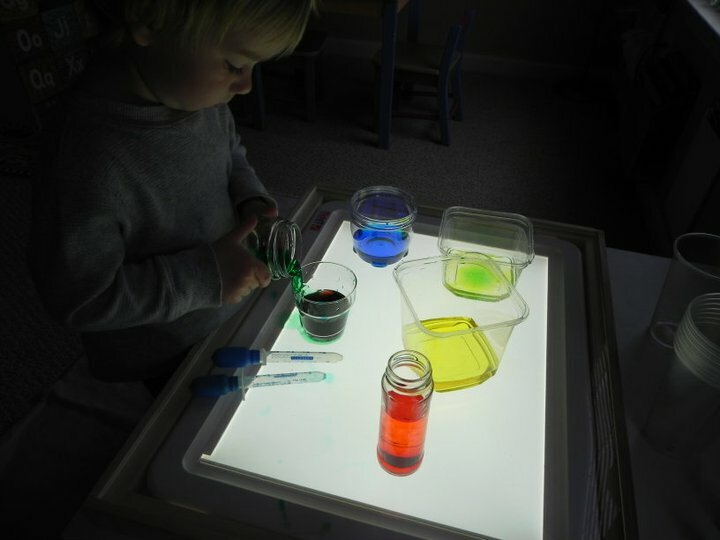 Play At Home Mom LLC: Water, Color, Containers, and LIGHT! 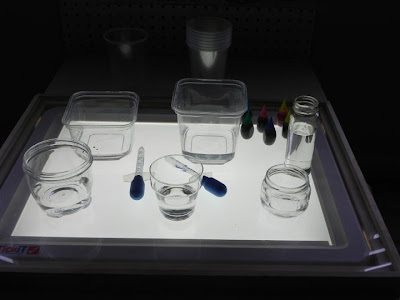 Water, Color, Containers, and LIGHT! We did this months and months ago and I totally forgot to do a post on it. This is an activity I did in my classroom a lot, but not with a light panel - we would do it on top of white paper so the true colors would show. 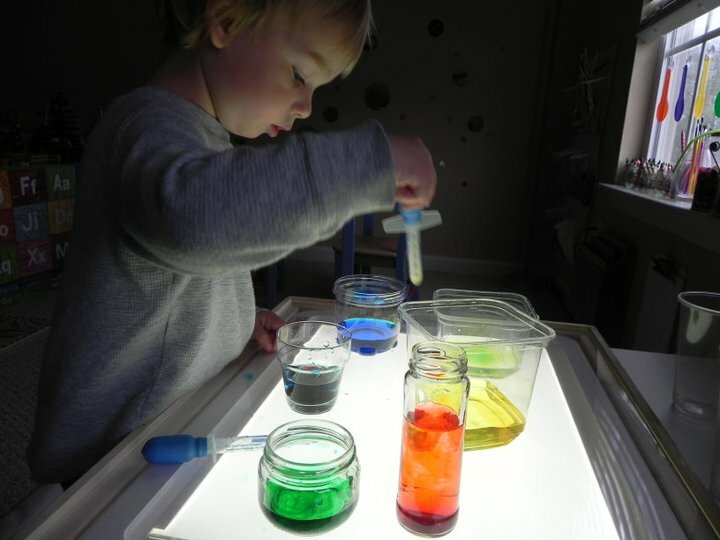 My son loves to mix and pour so I knew it would be a huge hit. Its a great activity to talk about colors, work on motor skills, introduce words such as pour, stir, mix, dropper, etc, and even talk about the principles of water. My son would love this! 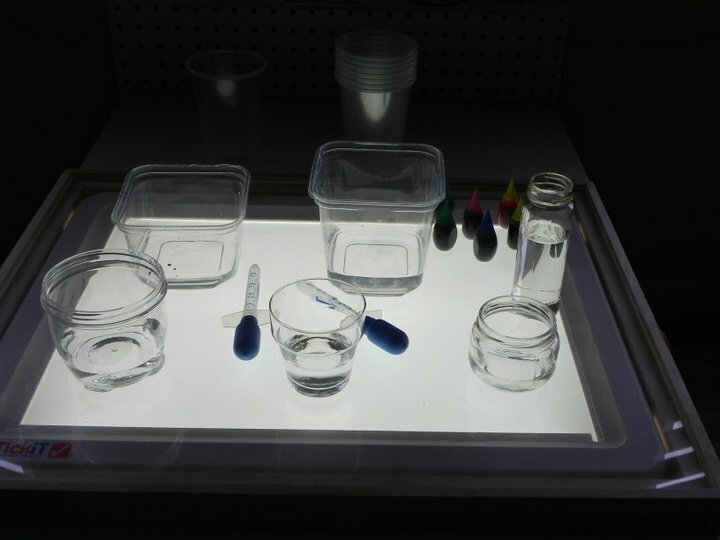 I'm sure you've answered this before, but I haven't been able to find it... where did you find your light table? I'm thinking that one might be in order for a Christmas present this year. Thanks!